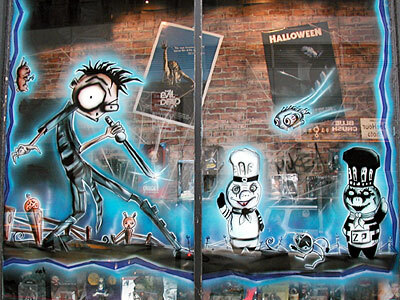 Earlier this year, Invader Zim creator Jhonen Vasquez announced there will be a revisit to the universe in the form of a comic via Oni Press comic book publishers. this news comes as great delight to my inner child, who embraced the series since its debut in 2001. I remember eagerly anticipating the premiere episode at age 10/11. The silliness of the characters in the Zim universe was stupendous. 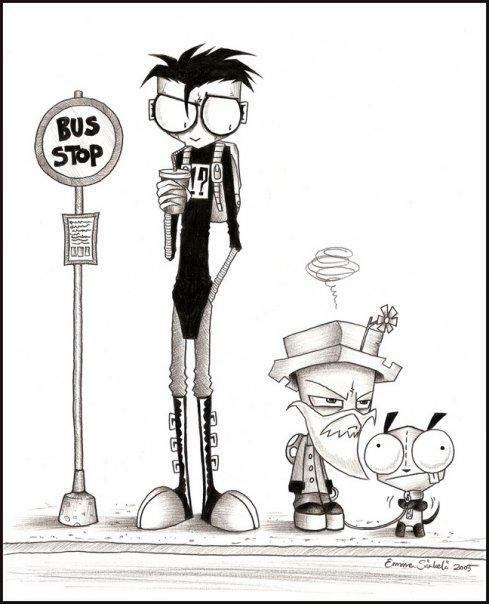 Each character had their flaw, which created great rivalry between Zim and Dib, without anything ever coming to a head. One of my favorite characters was GIR, who was an absolute gem. 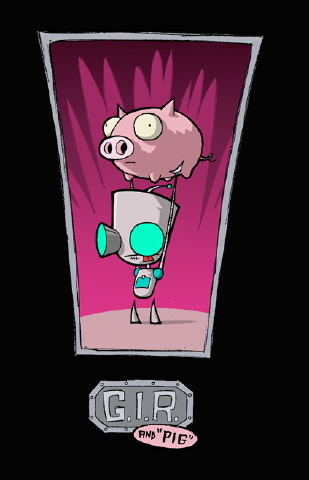 GIR was full of obscure references and zaniness that made me laugh uncontrollably at points. One of my favorite episodes is titled Bolognius Maximus, where in Dib and Zim were infected with a disease that slowly turned them into sausages. Although Zim was my first experience with Mr. Vasquez’s work, I quickly made the jump into his first comic book, Johnny the Homicidal Maniac. This was also the first comic I’ve ever read, and the first thing I noticed about the book was the character design was very similar to Invader Zim, but the humor was very dark and grotesque, which was perfect for little me. Early into my teenage years I felt that everyone was an idiot. In Zim and JTHM, most tertiary characters are bumbling idiots. Very rarely did you see tertiary characters that are capable of comprehension in these works and I paralleled that sentiment in my own life. Some of the kids in Zim’s class could only drool, but Zim was kind of a fool too. 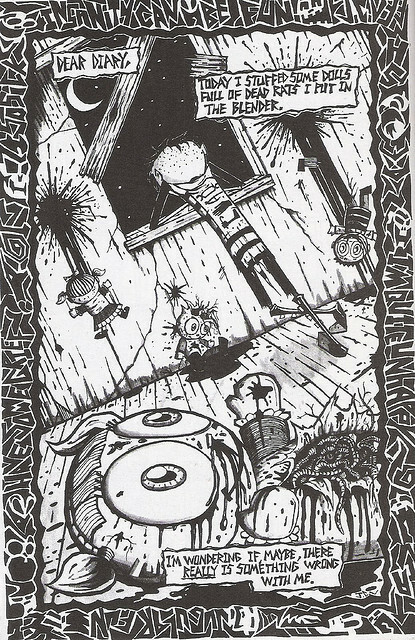 In Johnny the Homicidal Maniac, characters were self driven idiots in a chaotic way, this is probably likely because we see them from the main character’s perspective, who in most cases is the smartest character in the chapter. The Main story follows Johnny, a young man who is struggling to maintain his grip on reality, all the while brutally murdering people who, according to him, deserve to die. Each book is broken down into short stories that are either main storylines, stories parallel to the main story that do not progress the plot, and random stand alone stories that have nothing to do with Johnny. regardless of the plot, I found each story to be horrifically violent, hilarious, poetic or some combination of three. Johnny’s driving force for murder is that deep within the annals of the house he lives in, there is a wall separating our world with something… something evil. The only way Johnny can keep the Thing from breaking through the wall is to constantly keep a fresh coat of blood on the wall, or it begins to crack. Johnny kills anyone he perceives to be evil, for the most part. That ranges from pedophiles to someone who kicked his chair in the movie theater on purpose. the latter showing his distorted view of right and wrong, but it is written in a way that is entertaining. On his mission, he finds that no matter how hard he tries, he is never caught and cannot be killed. 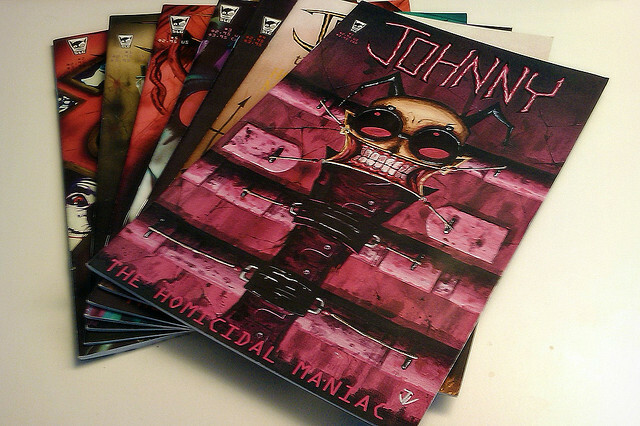 Each issue ends with a story titled Johnny The Suicidal Maniac, wherein he becomes fed up with the way his life is going and tries to off himself. Never to succeed.